Karen O & Danger Mouse - Win 'Lux Prima' on Limited Orange Vinyl! - Enter on Exclaim! 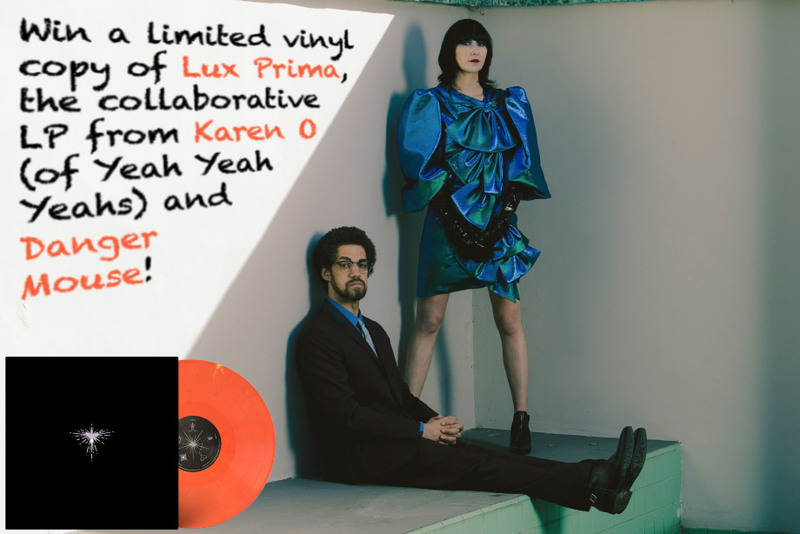 Enter to win a limited orange vinyl copy of Lux Prima, the collaborative LP from Yeah Yeah Yeahs frontwoman Karen O and super-producer Danger Mouse. They first teased the project via the title track, with the producer revealing they were more after a place than a sound and the vocalist revealing it came from a "blurry place." They followed it up with "Woman" and dropped the full album March 15. For your chance to win limited vinyl of the first Karen O & Danger Mouse release, check out our review of the album and fill out the form below.